The people are largely descendants of the Papuans – Melanesiansinclude island countries as Fiji, New Caledonia and Vanuatu, Solomon Islands and Papua New Guinea. Today there are 5,130,560 people living in Papua New Guinea – more than a third of them in the rugged Highlands. The traditional Melanesian cultures are kept alive in elaborate rituals that accompany deaths, feasts, marriages, compensation ceremonies and initiation rites. Variations in village construction, dialect and dress are common in country areas while annual Sing Sing shows, part of the Papua New Guinea Cultural Events Calendar, see villagers from around the country demonstrate their singing, dancing and elaborate bilas (traditional costumes). The shows at Goroka and Mount Hagen are among the country’s most impressive, attracting thousands of spectators to Papua New Guinea each year. Our selection of vibrant cultural Papua New Guinea images show these fantastic costumes. More than 800 local languages (in addition to many minor dialects) exist in Papua New Guinea – about a third of the world’s indigenous tongues. Pidgin (Tok Pisin) is common to most Papua New Guineans, and learning a few words can be handy, especially when travelling in more remote areas. How much does it cost? Em hamas? / Hamas long em? Where is the toilet? Toilet istap weh? Where are we going? Yumi go weh? Where are you from? Yu bilong weh? May I take a photo? Inap mi kisim piksa? The currency is the PNG Kina, with daily exchange rates listed in banks, newspapers and at Papua New Guinea hotel accommodation properties. Papua New Guinea’s currency is the Kina which is divided into 100 toea. K100, K50, K20, K10, K5 and K2 notes and a K1 coin are in circulation. Money can be exchanged at Jackson’s Airport. Travellers’ cheques and international credit cards are accepted in major hotels and restaurants and some shops or can be cashed at banks throughout the country, which are open from 9.00am to 3.00pm Monday – Thursdays and 9.00 – 4.00pm on Fridays. All transactions within Papua New Guinea’s hotels, restaurants and bars are subject to 10% tax which is included in published prices. Port Moresby hotels, restaurants, shops, rental car companies, Papua New Guinea tours and cruise operators and travel agents accept most major credit cards including Amex, Diners, Master Cards and Visa Cards. Looking at the Papua New Guinea map, we can see that it lies just south of the Equator and 160km to the north of Australia. With a total land mass of about 473.189sq.km, the country encompasses the eastern side of New Guinea Island – the second largest island in the world, plus some 600 other islands, atolls and coral reefs and more than 800 indigenous languages (tok ples), and is home to the largest area of intact rainforest outside of the amazon. Vast tracts of the country are wild and undeveloped, with magnificent scenery that ranges from pristine coral atolls to volcanic mountains, dense tropical rainforest and large rivers. The mainland is divided by the Owen Stanley Range, a massive central spike with peaks towering over 4,000m. Great rivers begin their journey to the sea from these mountains, among them the mighty Sepik River, one of the world’s longest waterways. Beneath the mountain chain, fertile coastal plains, flooded delta regions and mangrove swamps exist alongside broad sandy beaches and sheltered bays. The rugged mountain terrain and deep cave systems offer wonderful adventure opportunities for walkers, cavers and climbers. There is canoeing, kayaking and fishing on the river and delta system. PNG also enjoys some of the world’s best diving, around its warm coastal waters, with striking coral reefs around the mainland coast and the islands of the Bismarck Sea and the Milne Bay area. The PNG Tourism industry has taken a highly coordinated approach to safety and security, working with various law enforcement agencies in order to provide a strong framework for ensuring that safety and security is always paramount. Papua New Guinea cannot be isolated with regards to the safety and security issues that are faced everyday. It is just like any other country around the world, where safety can be an issue and security issues can be pinpointed to only one area within the country – but everywhere else you travel within the country, it is often safe, secure and full of happy Papua New Guineans. While it is always advisable to take safety precautions, the destination is usually filled with smiles all around and friendly people. For all our visitors, we always advise them that common sense must prevail at all times when visiting areas around Papua New Guinea. It is advisable to use a local guide when exploring. They know the tok ples ( local language), and will know the places you can safely visit. Common sense should always prevail- try to avoid secluded areas, always stay with your possessions and don’t walk alone at night. Certification or vaccination against yellow fever or cholera is required for travelers over one year of age, coming from or through infected areas. Malaria is the only serious health risk in Papua New Guinea. Visitors are strongly advised to consult their local doctor or tropical disease clinic to commence anti-malarial preparations before arrival in PNG. Use insect repellents. Water quality is within World Health Organisation standards in most towns; however, bottled water is available and in rural areas it is advisable to boil water at all times. Dental, doctor and hospital services are available in all major centres. Another health risk is teh HIV virus, which is a worldwide concern. Please look after yourself. Jackson’s International Airport is the official gateway into Papua New Guinea, situated about 8km away from the main town center of Port Moresby. The airport itself has the Domestic Airport and terminal adjacently connected (500 metres apart) to the International terminal to make connecting flights to domestic airports easy and within time. Arriving visitors to Papua New Guinea who have successfully cleared Customs and have immediate connections to other destinations within Papua New Guinea are advised to go straight to the Domestic Transfer Counters within the International Check-In counters for an onward boarding pass to their destination, before proceeding to the Domestic Lounge for boarding. Jacksons International Airport provides duty free services and shopping for departing visitors, and transit lounges are also provided for transit passengers to other international destinations. Since its inception in the 1973 as the national airline of Papua New Guinea, Air Niugini is the longest serving airline in Papua New Guinea. With 20 international offices and including GSA offices, Air Niugini provides international flights as well as domestic connections within Papua New Guinea, with domestic offices around the country. Air Niugini services a fleet of aircrafts that include B767, Q400, F100, Dash 8’s and newly included Q4000 series aircrafts, and has an excellent safety record in Papua New Guinea. 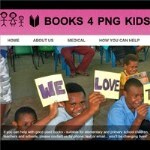 Visit the www.airniugini.com.pg for more information. Airlines PNG operates a fleet of 18 aircrafts consisting of De Havilland Dash 8 and Twin Otter aircrafts. It has offices in Australia (Cairns & Brisbane) and domestic sales offices in Port Moresby and Lae. Airlines of PNG provide a strong domestic route within the rugged terrain of PNG and provide charters as well as medivac services. The airline has now expanded their domestic services around Papua New Guinea to include the new guinea islands sector and internationally to Cairns and Brisbane. Visit the website www.apng.com for more information on flight schedules and bookings. Virgin Australia has entered the market by providing an alternative to the travelling public in Papua New Guinea as well as our visiting travellers. Virgin Australia operates a B737 with four flights to PNG every week from Brisbane and continues to be an aviation competitor in Papua New Guinea. For bookings visit their website www.virginaustralia.com. QantasLink a regional brand of Qantas operates three flights to Papua New Guinea’s Jackson International airport from Cairns, Australia using its 74-seat Q400 aircraft. For more information on flight schedules and bookings visit the QantasLink website at www.qantaslink.com.au.